A traditional range of wooden backed body brushes each using renewable, seasoned, selected hardwoods which are ergonomically shaped to comfortably fit the hand. A galvanised, rust free, stapled, woven strap. 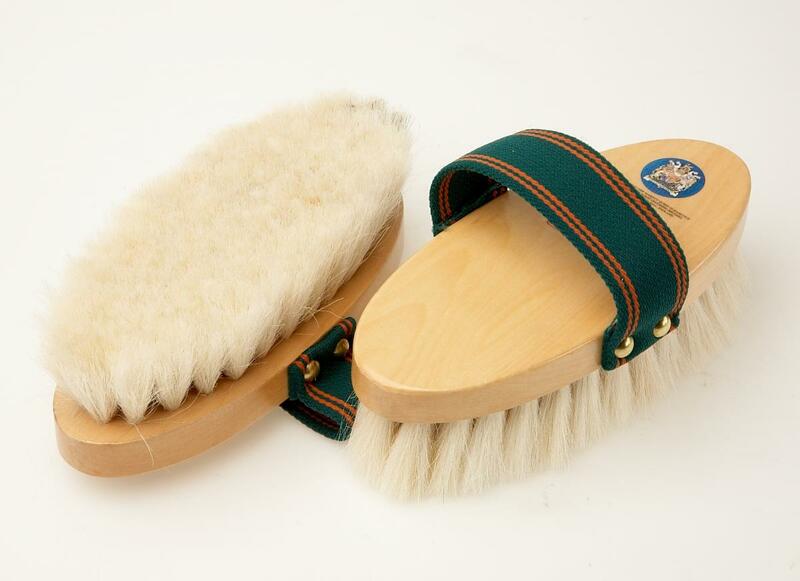 Filled with ultra soft natural goat hair fibres. Size: 175 x 75mm. There are currently no questions for Vale Brothers Equerry Wooden Goat Hair Body Brush - be the first to ask one!